Miami, FL - (April 6, 2017) - Yvonne Guidry, Founder of the Houston based popular Lifestyle Blog SpoiledLatina.com, was awarded the Top Lifestyle and Entertainer Creator award at Hispanicize Tecla Awards. In its third year, the Tecla Awards recognize excellence in multicultural digital marketing using social media strategies. 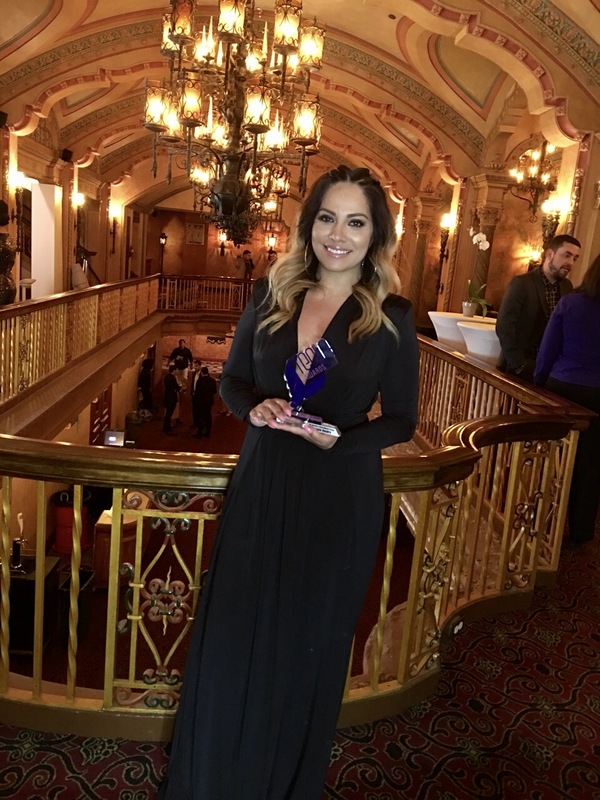 Yvonne Guidry or as she is often referred to SpoiledLatina received the award during the Hispanicize Tecla Awards ceremony the night of April 6 at Miami's historic Olympia Theater, the closing event for Hispanicize 2017 – the largest annual event for Latino trendsetters and newsmakers. The winners of the Tecla Awards are determined by The Hispanicize Tecla Awards Gold Academy, a panel of judges consisting of marketing, PR and social media executives, creators, and other experts in the digital media industry. Click to see the video of the win here. About Yvonne Guidry - With over 9 years of creating lifestyle and entertainment content on SpoiledLatina.com, Yvonne Guidry is a Latina Lifestyle favorite. She has interviewed some of the biggest names in entertainment, sports and fashion. Has worked with top tier brands to create brand afinity to each and was recognized by the city of Houston in 2015 proclaiming Yvonne Guidry day in honor of her blogs 7th anniversary. Yvonne has since dedicated July 9th to be SL Day - an annual celebration of women in Houston to come together to be empowered, pampered and inspired.